Are the 2012 Kings the Best 8-Seed Ever? While the conference finals of the NHL post-season cannot get under way until the conclusion of Game 7 between the New York Rangers and the Washington Capitals on Saturday night, the Western Conference Final opponents have been decided for two days as the Los Angeles Kings will enter the desert of Arizona to take on the Phoenix Coyotes. This series simply awaits the first puck drop, which is appropriate given the recuperation needed from the relative shock that the Western Final consists of teams that have not been this far since 1993 in the case of the Kings and never in the case of the Coyotes. The Coyotes are the higher seed at #3 and much has been made of their excellent overall team game, the excellent goaltending of pauper-to-prince Mike Smith, and the elevation of players such as Mikkel Bodker that has led the Coyotes to series victories over the Chicago Blackhawks and Nashville Predators and a playoff record of 8-3. Their opponent in Conference Finals, the Kings, enter the series at 8-1. The 8th place Kings are simply firing on all cylinders and have established themselves as a legitimate Cup contender which runs in complete contrast to their low ranking entering the tournament. The Kings are finally living up to their potential, and when compared to other 8-seed teams that have advanced past the first round since the modern format was implemented in 1994 the Kings may just be the best surprise team in NHL history. Playoff Run: Beat Detroit Red Wings in 7 game quarter final, lost to Toronto Maple Leafs in 7-game semi-final. Bio: The upstart 1994 Sharks surprised everyone by defeating the heavily favoured Detroit Red Wings in the 1st round of the playoffs. They also managed to play 14 playoff games this off-season in spite of rather horrendous goaltending from Arturs Irbe, who went 7-7 with a .875 save percentage. Igor Larionov led the way in scoring, garnering 13 assists and 18 total points. Their Cinderella run would end at the hands of the Maple Leafs in the next round despite holding a stranglehold 3-2 series lead. Playoff Run: Beat Quebec Nordiques in 6 game quarter final, lost to Philadelphia in 4 game semi-final. Bio: The Rangers were arguably better than their regular season and statistical numbers suggested, as they entered the playoffs as the defending Stanley Cup champions. While Messier still managed to rank among the league leaders in scoring, star goalie Mike Richter had an uncharacteristically bad season. Despite this they still managed to surprise the top-ranked Nordiques who had slowly been building a winner throughout the decade and were spotted with young stars like Joe Sakic and Peter Forsberg. They could not follow up this upset in the next round, as they were swept by the Flyers. Playoff Run: Beat New Jersey Devils in 6 game quarter final, lost to Washington Capitals in 5 game semi final. Bio: This was the second Senators team to make the playoffs, and the series victory over the Devils marks the first series victory in modern Senators history. Their goaltending tandem of Rhodes and Tugnutt was relatively solid while they were led offensively by Yashin and a young Daniel Alfredsson. However, as seems to be a definitive trend save for a few member teams on this list, they were unable to capitalize on the reputation-building series win against the Devils by being handled in short order by the eventual runner-up Capitals in the second round. Playoff Run: Beat New Jersey Devils in 7 game quarter final, lost to Toronto Maple Leafs in 6 game semi final. Bio: The one distinction the 1999 Penguins hold over every 8-seed on this list is that their top scorer, Jaromir Jagr, led the entire league in scoring by a formidable 20 points. They also had a proven goaltender in Barasso, who had a season of peaks and valleys. In addition, the Penguins still managed a 90-point season which indicates that they were not the doormat that the bottom team is expected to be. However, the trend of initial success followed by immediate failure continues as the Maple Leafs ended Pittsburgh’s season in a 6 game second round series. Playoff Run: Beat St. Louis Blues in 7 game quarter final, lost to Dallas Stars in 5 game semi final. Bio: The only pre lockout team to defeat a President’s Trophy Champion in the 1st round of the playoffs, the 2000 Sharks boasted a premier power forward and point-per game player in Owen Nolan as well as an excellent two-way centre in Vincent Damphousse. The Sharks completed perhaps the most surprising upset on the list, as the St. Louis Blues were stacked with stars such as Pierre Turgeon, Chris Pronger, and former Conn Smythe winner Al MacInnis. Dallas would put the Sharks in their place, ending the run after 5 games in the semi-final. Bio: This team was undoubtedly defined by the play of Jose Theodore, who captured the Hart Trophy as League MVP at the end of the season. The team relied heavily on Theodore, as their lineup had difficulty scoring given that Yanic Perreault not only led the team in scoring with 56 points but was also the only Canadien with 50 points or more, although Doug Gilmour did manage 10 points in 12 playoff games. The Canadiens would also lose in the second round, as the eventual Stanley Cup runner-up Carolina Hurricanes bested them in a 6 game semi final. Playoff Run: Beat Detroit Red Wings in 6 game quarter final, beat San Jose Sharks in 6 game semi final, beat Anaheim Mighty Ducks in 5 game conference final, lost to Carolina Hurricanes in 7 game final. Bio: The 2006 Oilers went on a surprising run all the way to Game 7 of the Stanley Cup Final, but it wasn’t as surprising as it would have been had it not been for the standout play of numerous trade deadline acquisitions. 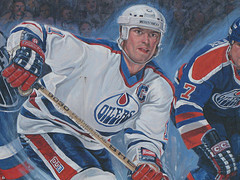 Sergei Samsonov, Jaroslov Spacek, and a career performance from goaltender Dwayne Roloson augmented the play of teammates Ryan Smyth, Mike Peca, and Chris Pronger. 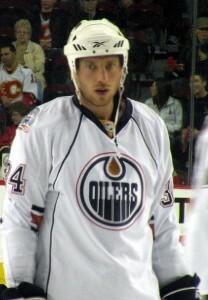 Fernando Pisani also became one of the most talked about flash-in-the-pan players in playoff history, scoring big goal after big goal. Sadly, Roloson would be hurt in the first game of the finals against Carolina and the Oilers would go on to lose the Cup in 7 games. Playoff Run: Beat San Jose Sharks in 6 game quarter final, lost to Detroit Red Wings in 7 game semi final. Bio: Much like the 1995 Rangers, the Ducks were an 8-seed who had also won a Stanley Cup within recent memory. 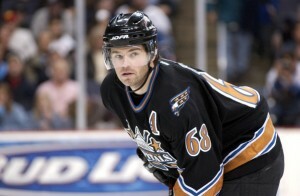 Their roster consisted of holdouts from their 2007 championship team, including the team nucleus of Ryan Getzlaf, Teemu Selanne, Corey Perry, Chris Pronger, and captain Scott Niedermayer. The Ducks proved they were not to be taken lightly when they upset the best regular season team in the first round in San Jose and very nearly beat Detroit in the second round, falling in a tight 7 game series. Bio: Although scoring was much more plentiful for the 2010 Canadiens, this team is similar to the 2002 edition in the sense that both playoff runs were defined by the outstanding play of its goaltender. Jaroslav Halak had usurped the starting job from the inconsistent Carey Price and eventually stole two series wins with help from the goal scoring heroics of Michael Cammalleri. Their first round victim, President’s Trophy champion Washington, had finished the regular season with 33 more points and a league-high 318 goals. However, Halak heavily contributed in limiting the Capitals to 3 goals in the last 3 games. 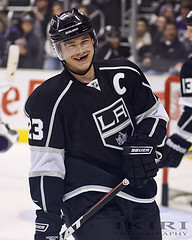 Dustin Brown and the Los Angeles Kings have been smiling more often than not this spring. (Photo by Chassen Ikiri). Bio: Currently in the middle of their run, the Kings have done more than surprise. They have simply manhandled their first two playoff opponents, knocking off the top two teams in the West in just 8 games. While they are getting excellent offensive performances from everyone not named Jeff Carter in the forward group and excellent shut down defence from players such as Matt Greene and Rob Scuderi, goaltender and Vezina Trophy nominee Jonathan Quick is simply having a playoff performance reminiscent of a young Patrick Roy. He is 8-1 while shutting the door with a 1.55 GAA and .949 SV%. While they have yet to go as far as the 2010 Canadiens or 2006 Oilers, the Kings almost seem to transcend comparison to these other teams as they have managed to not only prove to be a capable underdog but assert themselves as Stanley Cup favourites. Also, at 95 points, they are tied with the 2006 Oilers for most points and are one of three teams to move into at least the Conference Finals on this list of successful 8-seeds. While the franchise itself have the recent Stanley Cup pedigree that the 1995 Rangers and 2009 Ducks likely relied on, their roster is spotted with Cup Rings from recent years. Colin Fraser, Dustin Penner, Justin Williams, and Rob Scuderi all have post-lockout Cup rings while Matt Greene, Jeff Carter, Mike Richards, Jarret Stoll, and the injured Simon Gagne have played in post-lockout finals. The 2012 Kings have scoring, defense, goaltending, and proven playoff performers with more than enough playoff experience and as such, the Los Angeles Kings may just be the best 8th seed ever- if you can call them that.